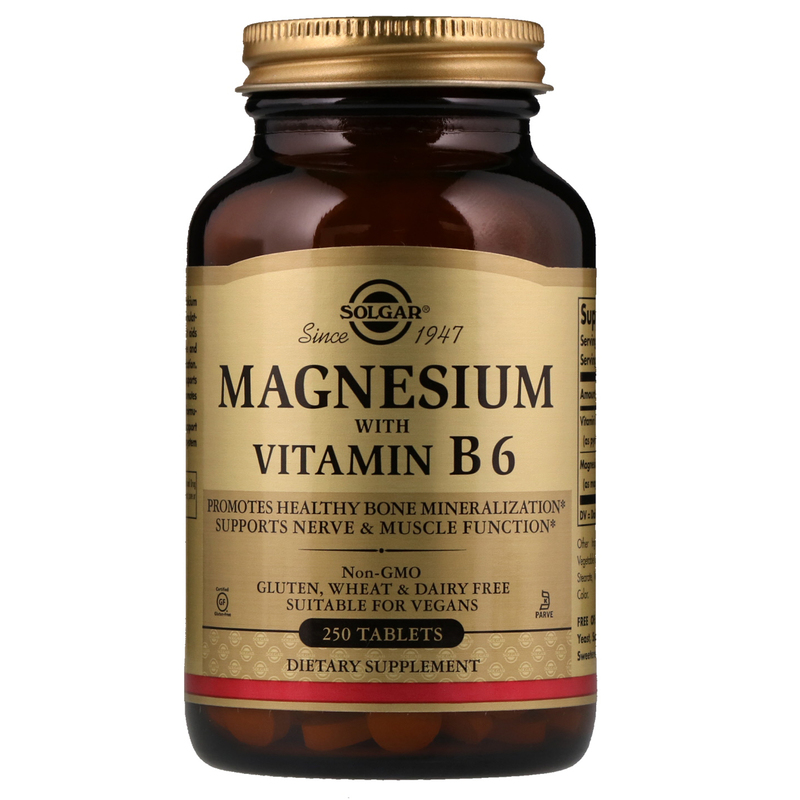 Magnesium helps to regulate calcium transport and absorption. By stimulating the secretion of calcitonin, it aids the influx of calcium into bone and promotes optimal bone mineralization. Along with ATP, magnesium supports cellular energy release. It also promotes nerve and muscle function. 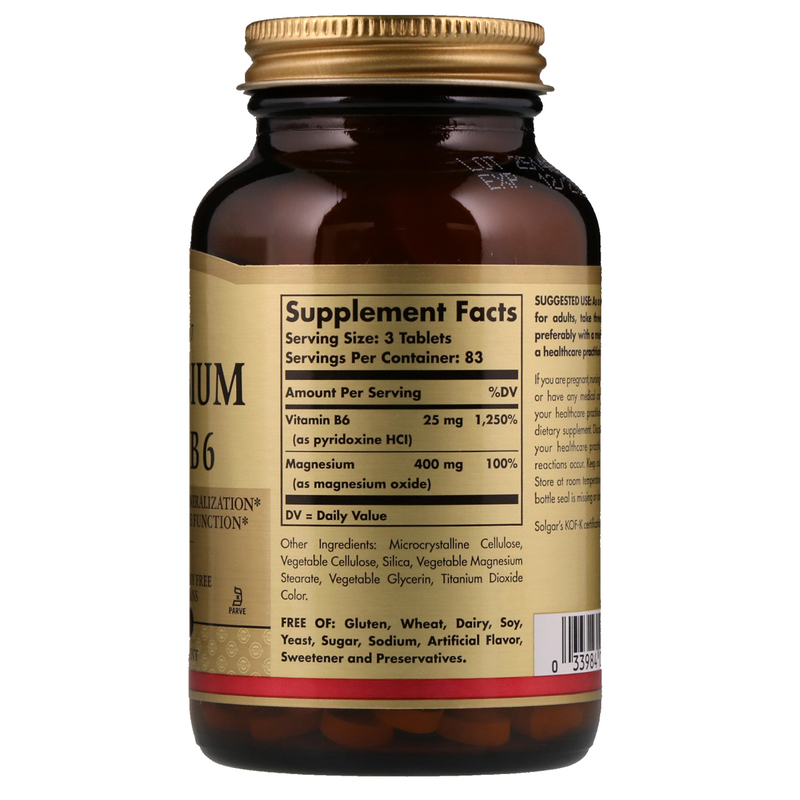 This formulation offers Vitamin B6 to support energy metabolism and nervous system health in the body. Microcrystalline cellulose, vegetable cellulose, silica, vegetable magnesium stearate, vegetable glycerin, titanium dioxide color.